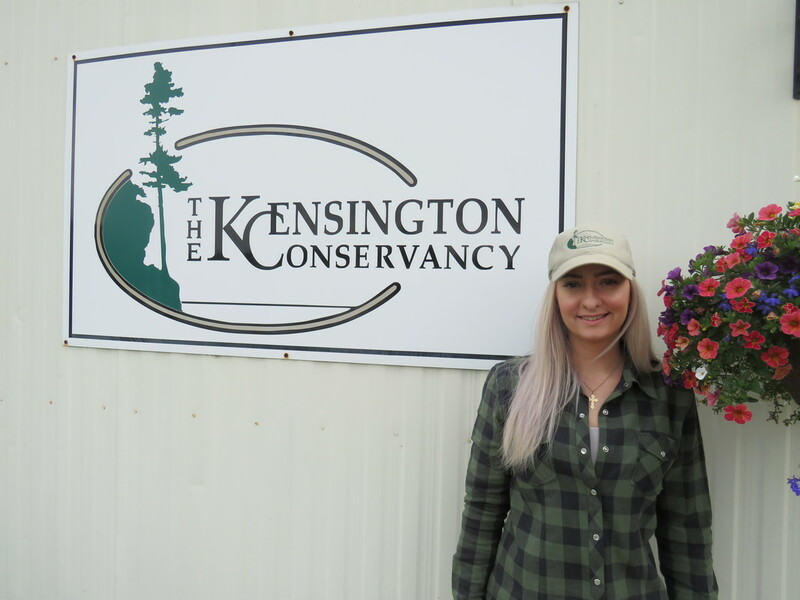 Vanessa Brouse, a Fish and Wildlife Conservation Technician student at Sault College, has been hired as an Assistant Field Technician! My name is Vanessa Brouse and I moved from Ottawa to Sault Ste. Marie to pursue my dream of working with nature and in wildlife conservation. I have a deep passion and concern for the future of our lands, waters, and both the wildlife and plant species within. I spend a lot of my time researching these issues and simply hiking and breathing in the forest air. Nature is my place: where I go to silence the noise; where I go to be myself. I have recently finished my first year of the Fish and Wildlife Conservation Technician program at Sault College and I am amazed with the experiences I have already gained. I feel honored to have received a summer position with the Kensington Conservancy. It is only my second week with them and I have already learned so much. I am proud of my accomplishments and I am eager to spread awareness about conservation issues and most importantly, help build more appreciation and respect for nature. I am grateful that I can work with them to help maintain and monitor their beautiful properties, but also to help them with the numerous events where there is the opportunity to share knowledge with the children showing them the importance of respect, appreciation and the conservation of nature. I still believe that despite the damage we have done to our environment, every little action helps. If we all work together and do our part we can salvage this world. There is still hope for us, hope that we can once again restore nature’s delicate balance, so future generations can still enjoy its beauty.